Congratulations! You’ve received the “go ahead” from a company or publication to prepare a sample or project. Before you begin the project and before you are ready to send in the completed item, there are specific guidelines you must follow in order for your project to be accepted. Here is a helpful checklist. NOTE: In addition to the following guidelines, you must also comply with the specific instructions from the company/publication to which you are submitting a design. It is also helpful to read "Designers' Pit Falls" and "You Want to Submit a Project Idea… Where to Start." Reconfirm yarn and color selection with your editor or design director AND check all ball bands to be sure they are all the same dye lot number. Reconfirm with the yarn manufacturer that the yarn you have chosen will be available for at least the next year. Most magazines and book publishers work six months in advance. Reconfirm the size of the sample garment required to fit the photography model. DO NOT create the project to fit YOU, unless it is the same size requested by the manufacturer or magazine. Keep notes as you work on your project so that you can refer to them when an editor has questions. DO NOT RELY ON YOUR MEMORY TO WRITE THE PATTERN. SIZING — Check the Standards & Guidelines measurements chart and size your project accordingly (www.yarnstandards.com/sizing.html). Designers are urged to read Designer Pit Falls before you begin your project. 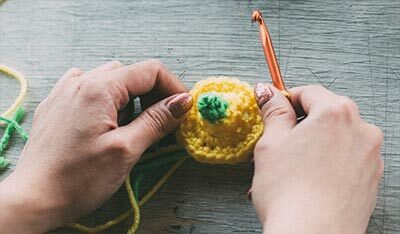 NOTE: As you are working on your project submission, if you feel there is a problem with the yarn or yarn color, contact the manufacturer or editor and discuss your concern. If you have an alternative, suggest it. LABEL — Affix a label or hang tag to the inside back of your project with your name and contact information, including your address, phone number and area code, e-mail address, and project number (if assigned). CLEAN — Projects must be clean, free of cat/dog hair, perfume or other scents and cigarette smoke. FINISH & BLOCK — Proper finishing is critical. Weave in all yarn ends and pay attention to blocking. Remember, acrylic yarns should not be blocked with heat because it flattens the fibers. If you have questions about blocking a specific yarn, contact the company/publication. SKEIN BAND/YARN LABEL — Submit ALL skein bands/yarn labels from the various yarns you used to complete the project. GAUGE SWATCH MUST MATCH PROJECT GAUGE. Companies will reject your submission if your gauge swatch does not match the gauge in the project. ELECTRONIC FORMAT — Project instructions must be submitted in an electronic file. Generally, a Microsoft Word file is acceptable, but always check with your editor. Remember to write your name and contact information, plus project number (if assigned) on the first page of the instructions. Also, include a printout of the instructions with your project submission to which you have stapled all of the ball bands or skein bands. NOTE: To speed up the technical editing process, some companies may ask you to e-mail your instructions before you send in your project/garment. Indicate the type yarn used, put up (skein/ball yardage and weight), fiber content, the number of skeins/balls required for each project size, AND record all yarn amounts. Indicate Yarn Weight symbols using the Yarn Standards & Guidelines. Note all needle or hook sizes in millimeter and U.S. sizes. List all materials required to complete the project, including necessary additional supplies and accessories such as buttons and beads with specific sizes and quantities noted, snaps, purse handles, etc., and source information if possible, i.e., where a consumer most likely will find these items. List all measurements including finished chest, back and armhole measurements for each size submitted in the case of garments AND indicate which size was made. For accessories, list the finished dimensions of the project. PATTERN SIZING — It is the designer’s job to write multiple sizes for a pattern, taking into account shaping and pattern repeats. Indicate right side/wrong side, right side/left side. Always mention the total number of stitches in a row/round after an increase or decrease. If a project, such as a cardigan, has sides that are mirror images of one another, write out complete shaping directions for both sides. 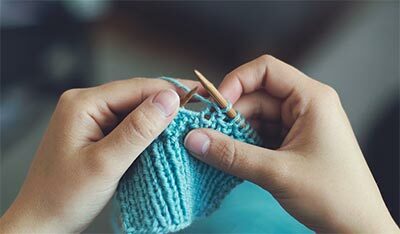 Be sure to mention finishing details such as bind off or fasten off; sew up the side seams, or set in or sew sleeves in place. ALWAYS DOUBLE CHECK YOUR MATH! Project schematic, including each piece of the project/garment, must be submitted with your submission (see below). Using recommended Industry Symbols, project charts for stitch or color (intarsia) patterns also must be submitted. GRID PAPER — Generally, a project schematic is drawn on 8-squares-to-the-inch grid paper. Include measurements for all sizes, taking into account shaping and maintaining pattern stitches. (Grid paper can be downloaded from several sites on the Internet, or you can create a grid with most basic software programs.) A scan of the grid paper is usually acceptable provided the grid is clearly legible. Schematic must be drawn to scale. Schematic should show actual knitted/crocheted measurements of the pieces, not finished measurements. NOTE: Grid size may vary from publishers to publisher. Size of grid paper is not as important as ACCURACY. In addition, schematic should show the direction of working. For example, if a sleeve or the entire garment is worked from the top down, the piece should be shown oriented that way. If worked side-to-side, then that should be show on the schematic as well. If different parts are worked in different direction, arrows showing the direction of work are very helpful. An invoice should be submitted along with your completed project. (Fees are generally negotiated when your design concept is first accepted by a manufacturer/magazine.) On the invoice include an invoice number, your name, current address, phone number, e-mail address, social security number or tax ID, name and number of design if you have one, and brief description of the project. Generally, companies require that a signed Design Agreement/Contract must be included with the invoice. Return shipping is the expense of the designer. Return all unused and used yarn. Complete your project on time!